Kick A Rock: Pirates of Silicon Valley airs on TNT tonight! Okay, if you've never seen the movie Pirates of Silicon Valley, then you're in luck. In honor of Steve Jobs, TNT will be airing it tonight at 8:00 PM, and again at 10:00 PM. This is a great movie that tells the story of a young Steve Jobs and Bill Gates as they battle each other to introduce the first personal computer. I've always loved this movie, even though, like any "based on a true story" movie, you can only take it with a grain of salt. 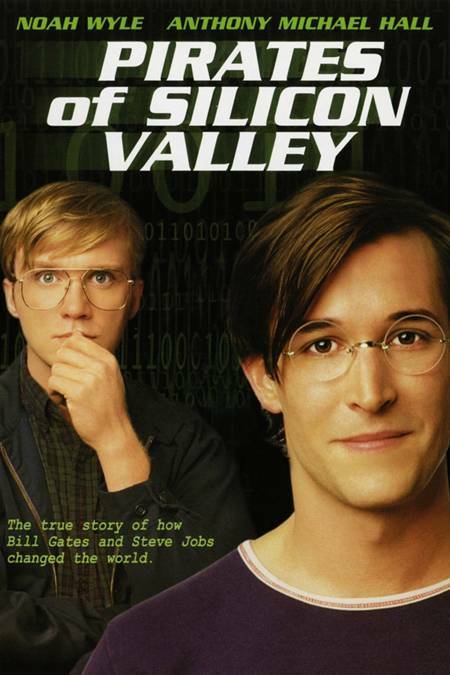 But, this film does a great job of telling the story of two of the greatest contributors to our digital world. So, if you don't have any plans tonight, then I suggest you pop some popcorn, plop yourself on the couch and tune-in to TNT at eight. You'll thank me later for it.